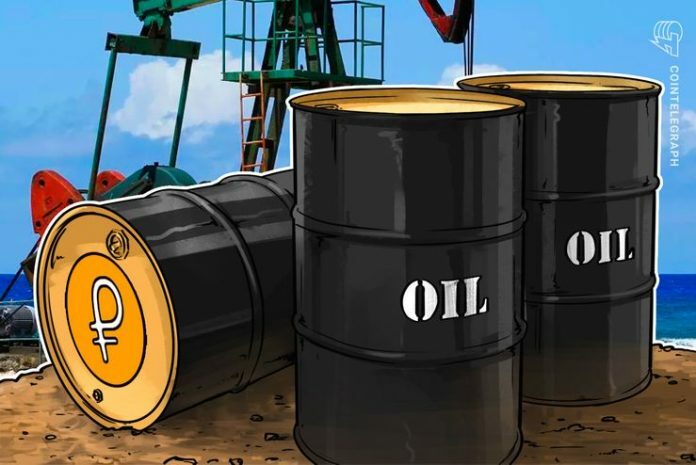 Venezuela will present its state-backed cryptocurrency Petro as a unit of account for crude oil trading to the Organization of the Petroleum Exporting Countries (OPEC) in 2019, the country’s oil company PDVSA reports on its Twitter Nov. 7. According to the PDVSA, Quevedo also added that Petro will be offered as a unit of account for global crude oil trading, noting that all Venezuelan oil will be traded for Petro. OPEC is a global intergovernmental organization made up of 15 nations, founded in 1960 in Baghdad to develop regulation and policies for the world’s main oil exporters. According to OPEC’s website, the organization has not yet scheduled its agenda for 2019; the nearest meeting of the oil industry members will be held Dec. 6 in Vienna, Austria. Venezuela officially launched the sale of its widely discussed oil-backed cryptocurrency at the end of October. 11 months after country’s leader announced the national coin, Petro can now be purchased directly from its official website or from six local crypto exchanges authorized by the government. However, crypto wallets for trading the coin have reportedly been suspended by Google. As Cointelegraph has often reported, the Venezuelan government is actively promoting Petro. For instance, Maduro appealed to the county’s citizens in October, asking them to invest in gold and Petro while the national currency, the sovereign bolivar, is facing hyperinflation. The country’s president also stated that Petro would be used for international commercial transactions starting in October 2018. Moreover, Venezuela announced that the currency would be used as a unit of account within the country, making salaries and pricing systems tied to Petro. Experts also told media outlet Wired that PDVSA, which reportedly backs Petro, had $45 billion in debt and showed no signs of any trading activity. The publication noted that this might mean the currency is only a “smoke curtain” to conceal Maduro’s recent failure to reanimate the national fiat currency.